Planning your family holiday? Wondering how to pick a destination that means everyone has the time of their life? We're here to help! 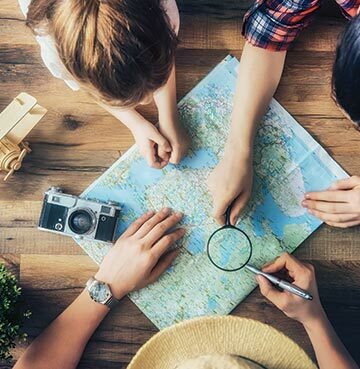 We've pulled together some of our best family holiday destinations below, to help steer you in the right direction. Once you've got a good idea, the getaway compass is firmly back in your hands – you know your family best after all! Where will your next adventure with the whole gang take you? Families that plan together, have fun together! It might sound simple, but lighten the planning load and get the rest of the family involved. Ask your little ones what they most enjoyed about previous family holidays, see if there's anywhere they're itching to see! Taking the grandparents, aunties, uncles or cousins? Find out what they'd love to have nearby and how they see themselves spending their days. Marry this all up with your plans and you'll soon have a wanderlust wish list for the whole family. Picking a holiday destination that everyone loves should be easier than you think! Of course, you'll always have the final say – planner perks. Another holiday tip is to think about how you can blend old with new, to give your younger kids some nice familiarity. Especially handy if this is their first time abroad, this might mean a quick thought about dishes that are similar to home or a temperature that's not drastically different. Although you'll still want them to enjoy plenty of new experiences! It's all well and good compiling a shared family itinerary but don't forget to set some time aside to do nothing together. The simple things in life truly are the best, so kick back by the pool and enjoy lazy lunches with all your loved ones. For most families the beaches are the biggest draw and who can blame them! What's better than a day filled with paddling, sandcastles and the sound of family laughter echoing around you? And who knows, you might even get a few quiet minutes to sunbathe. Beaches here tick all those family boxes! You'll find shallow waters that are crystal clear, gently sloping sand that's soft underfoot and pine-flanked beaches that offer a little shade. 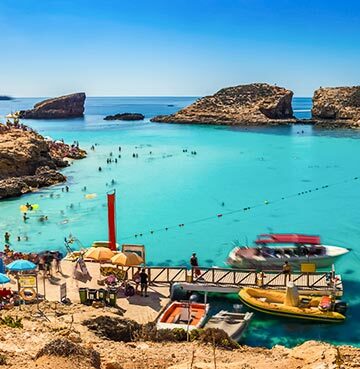 Cala Mondrago and Playa de Muro are great examples of these, adding Blue Flag status and activities like snorkelling, jet skiing and boat trips. A little more deserted are the likes of Cala Agulla and Cala Mesquida, although you'll find lively and tranquil beaches scattered all across Mallorca. Eating is a doddle when you head away with your kids, so expect plenty of happy diners in Mallorca. The island's popularity with British holidaymakers means that it's easy to find those familiar dishes and favourites from home. And if you're all feeling adventurous or you want the little ones to try something new, Mallorca's great for that too. Tapas dishes are like little tasters and there's plenty of meat and potato based options that won't be a drastic shock to their palates. There's so much more to this amazing Balearic island, it's hard to cover it all! Palma's Toy Museum is a unique experience that's great for young and old, showcasing historic toys that date back as far as the 19th century. Check out the collection of bikes, dolls and rare toys, before letting the little ones loose in the playroom. Three exciting waterparks are perfect for family splashing, while treetop adventures offer a drier opportunity for an adrenaline rush. La Reserva offers animal encounters that will melt the heart of all ages, from the donkeys and ostriches to the goats and brown bears. Sitting at the foot of the Tramuntana Mountains, this is a once in a lifetime excursion the whole gang will love. Something for everyone gets thrown around a lot when it comes to family holidays, but Malta and Gozo really do offer something for all. From toddlers to teens and all you big kids too! 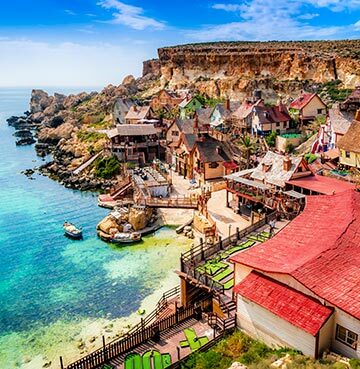 Popeye Village is probably the best example, offering activities for the young and a film throwback for parents (we won't call you old). The set of the 1980s musical is now home to mini golf, water slides and trampolines, a comic museum and mini cinema showing a 15 minute Popeye documentary. Not to mention the fact that you'll get to meet lots of characters as you travel around! 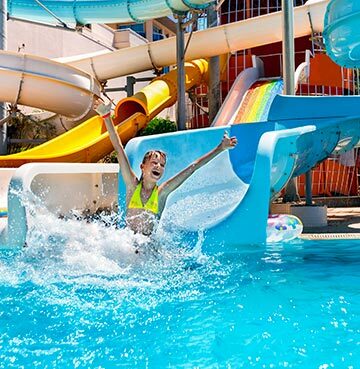 If your kids love the slides and trampolines here, be sure to unleash their inner adrenaline junkie at Splash and Fun Waterpark. Fly down Kamikaze or Black Hole, practice your landing at Dive Pool or just let them frolic in the kids' pool. 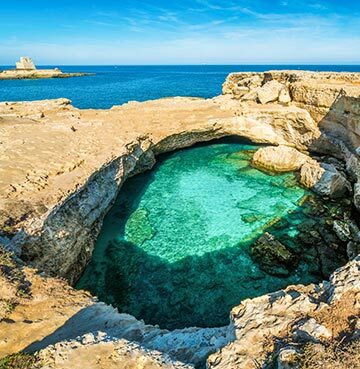 Whether its Malta's Grotto or Comino's Lagoon, you'll want to tick something blue off your list! A visit to either (or both!) of these azure beauties is a must, especially as you'll reach them on a wonderful boat trip that takes in more of the coast. The Blue Grotto is a sea cave where the sunlight gives a unique glow to the sea, while Comino's Blue Lagoon is tantalisingly turquoise in places and crystal clear in others. For more boat-based fun, head for the seaside treat that is Marsaxlokk. Traditional Luzzu fishing boats are decorated in vibrant blues, reds, yellows and greens – finished with the eye of Osiris on either side. It's probably the island's best spot to sample some seafood too, so fish lovers rejoice! Ease the little ones back into their history homework by enjoying family strolls around Valletta and Mdina. The island's current and former capitals are so fascinating that they won't even realise how much they're learning. The 'Silent City' of Mdina is hidden away by fortified walls, giving a little extra allure to its vast collection of monuments. The best way to explore is to simply walk around, it won't be long before you happen on a cathedral, palace, church or museum. The current capital of Valletta is very much lived in, so it's worth visiting both day and night. Experience how the bustle wraps around its monuments, before returning after sunset to see it in a more peaceful state. Founded by the Knights of St. John in the 1500s, this is a capital that's seen more than its fair share of drama, invading empires and power struggles. Where better to bring history to life? They might be on holiday, but Puglia is the ideal place to bring some of those less interesting school subjects to life! Forget the stuffy classrooms, heavy text books and slide those whiteboards to the side with a hefty push. Art lessons meet history gold in Puglia's Trullis, uniquely shaped stony houses with conical limestone roofs. Their form might be striking but their original purpose actually came from locals dodging tax collectors! They might look sturdy but Trullis were surprisingly easy to dismantle when the property tax was due. Maybe they'll draw inspiration for their next history project? Or perhaps budding architects will find the inspiration they need for their next arty masterpiece! What about those young geography lovers? 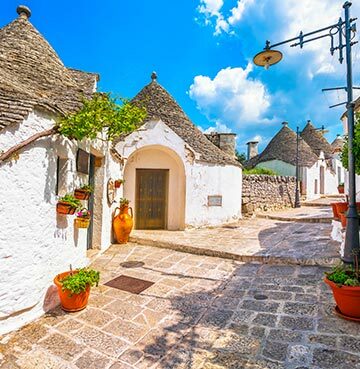 Puglia is their nature playground, where they can get out and explore galore! And it all starts at the coast, where caves are dotted along between those stunning postcard-perfect beaches. Castellena is the queen of caves, with a three kilometre guided tour 60m beneath the surface! Admire the sparkling white surfaces, decorated by stalagmites and stalactites in the most peculiar shapes. The Grotta della Poesia is well worth a visit too! The Cave of Poetry has a beautiful back story that's fitting of the name. A princess once came to take a dip here and charmed poets into visiting to write lyrics dedicated to her beauty. Why not take a dip with the family and see if you're filled with the same inspiration? Literary A Stars are on the cards. 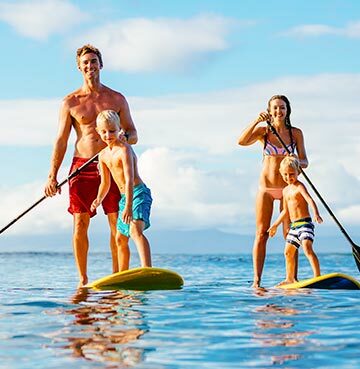 Head for the beach and your first thought might be that everyone here is playing happy families, but these are simply families playing happily together! The coastline here seems tailor-made for holidaymakers and their little ones. Towering cliffs shelter from strong breezes, while also offering shade from the Portuguese sun – they double up as a playground too. Rock pools, caves and craggy sculptures to explore, expect entertainment for hours on end! Waters are often calm here, so you can all partake in some family swimming too. Beach days don't get much better than this! Older kids will probably feel more at home on one of the busier beaches, where there's more for them to enjoy – who doesn't love a spot of watersports or volleyball? 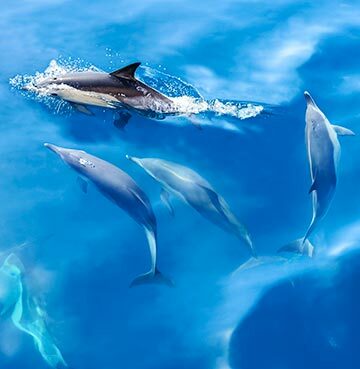 Dolphin spotting is the exact type of loved by all ages fun that ensures smiling faces all round. At least when you're not pulling your concentration face, those dolphins aren't going to spot themselves! From bottlenose to the harbour porpoise, there's plenty of commonly seen species off these shores. If you're lucky you might even catch a glimpse of whales, turtles and soaring sea birds. Want watery fun but haven't quite found your sea legs? Let's head for the waterparks – all three of them! Seeming to indulge in a game of one-upmanship, each offers something faster, taller or that little bit different. Aqualand's Kamikaze stands at 98m tall, while Aqua Show's 740m rollercoaster drops in and out of the water. 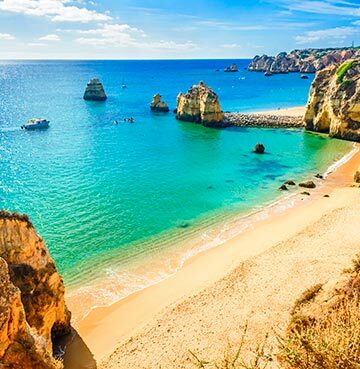 Even the Algarve's events seem geared towards all ages, such as the wonderful FIESA Sand Sculpture Festival, where intricate sand castles are built in the shape of cities, film stars and so much more!